Lovely photo. Is it the camera/developing that gives it that look, or the lighting/fog? 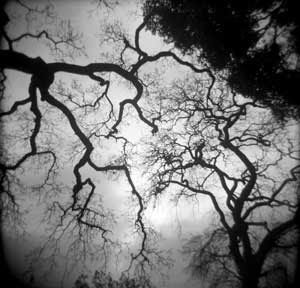 That is a really cool shot - the branches almost look like veins...it's very intense! Thank you so much, Dave! It seemed to me almost as if the trees were reaching toward each other in multiple ways.